Babyback ribs, Pig + Fish. Rehoboth Beach may have grown a lot over the years, but at its core it's still the quaint little beach town of your sunny summer memories, albeit with more hotels and outlet malls on the highway. The town proper is a perfect mix of shops and restaurants catering equally well to both families and adults, including the significant number of gay and lesbian vacationers that call Rehoboth their "home away from home." When it comes to food, there's a little of everything too, from the standard boardwalk fare of saltwater taffy, fries and pizza to upscale fine dining, such as Espuma, whose chef, Joe Caputo, was a James Beard Award semifinalist this year in the mid-Atlantic chef category. Chris and I have been vacationing in Rehoboth Beach almost every summer for 13 years now. Over the years, we've seen quite a bit of change in the restaurant scene. We have our definite favorites, several of which we discovered as new restaurants and got to watch rise to prominence (and a few sadly that didn't make it). Here's our Rehoboth dining guide, one I hope to update periodically. It's hard for us to discover new dinner spots since we're fiercely loyal to two favorites, and a trip to Rehoboth Beach wouldn't feel right without visiting them both. Dos Locos (208 Rehoboth Avenue) has hit gold with its fresh take on Tex-Mex. Grilled fajitas and frosty lime margaritas are the perfect fare to enjoy as the sun sets after a day on the sand. Everything we've had tastes fresh and never greasy. Every time we go we're reminded that Dos Locos serves better Tex-Mex than anything we get in D.C. Despite the fact that the restaurant has expanded and become very popular (expect to wait if you go at prime dining hours),we always see owners Joe and Darryl working the host stand and bar and they always make us feel welcome. Our other favorite is Pig + Fish (236 Rehoboth Avenue), which, as it name implies, excels at serving hearty grilled meat and seafood. 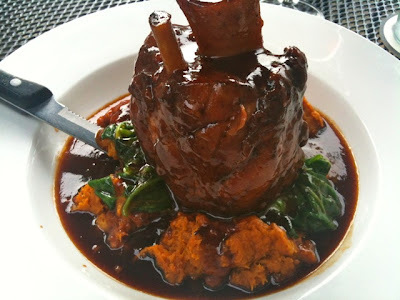 My personal favorite is the braised barbecue pork shank, a falling-off-the-bone tender smoked pork shank served in a tangy barbecue sauce with sweet potatoes and spinach. Through the years, we've also enjoyed the Tabasco smoked pork tenderloin, babyback ribs (pictured at top) and seared scallops. As a starter, you can't go wrong with the tomato-mozzarella salad, a hearty take on the classic Italian Caprese served with beefsteak tomatoes, a fresh basil honey-mustard vinaigrette and reduced balsamic glaze. Lastly, I must say the service here is always top notch, particularly if we're served by Carissa, whose friendly and efficient service is among the best we've had at any restaurant. Braised barbecue pork shank, Pig + Fish. We were pleased by our first trip to newcomer Cabo (210 Second Street), a new project from aforementioned Espuma Chef Jay Caputo that opened this year in the former Porcini House space. It bills itself as "modern Mexican," which seems an apt description for the food. If you like smoke, you're in luck. Walking to the beach in the morning, we could smell the cooks at work and weren't disappointed by the tequila smoked chicken tacos and the suckling pig burrito. The only disappointment was the appetizer. Although the bowl of fresh guacamole was tasty, I didn't appreciate the floppy, undercooked corn tortilla chips. Nevertheless, that should be easy to correct (and I doubt diners would mind if they just bought them, although I do appreciate the effort to go house-made). We usually drive to Rehoboth Beach in the morning and have a tradition of making Grotto Pizza (multiple locations on the boardwalk and Rehoboth Avenue) our first meal. The Baker's Choice is our usual pie, made special by its tangy pickled bell peppers. Nicola Pizza is the other major pizza operation in town, although I haven't eaten there in years, so I can't comment on its quality. If you want pub fare, your best bet is Dogfish Head Brewing & Eats (320 Rehoboth Avenue). Of course, it's best known for its locally brewed Dogfish craft ales, and on site you can get special ones not available at retail or in other restaurants. But it has good food too like hearty burgers and wood-grilled pizzas. 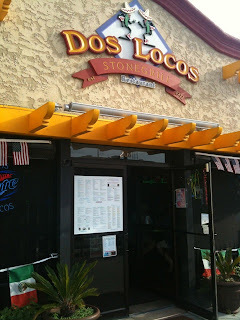 Like Dos Locos, this is another particularly popular spot, so plan accordingly. Breakfast is traditionally the most challenging meal for us. A longtime favorite, Retro Cafe, closed last year, forcing us to find a new favorite place. This year's best breakfast was from Robin Hood (54 Rehoboth Avenue), a no-frills diner near the beach that serves a basic but well-executed menu (the home fries with my western omelet were really good). Corner Grille (11 S. First Street) also does a decent breakfast. Hoping for something a little more upscale, this year we tried the restaurant at the Boardwalk Plaza Hotel (2 Olive Avenue), but were disappointed. The service was prompt and friendly and the food was fine but not spectacular. The syrup on my pancakes the menu claimed was Vermont maple was clearly maple-flavored corn syrup (perhaps they think Aunt Jemima has moved her operation up north?). Royal Treat (4 Wilmington Avenue) is the most popular breakfast place and its pancakes are excellent. However, it opens later than other places and you are guaranteed a line, so if you want to hit the beach early (and the beach is so beautiful in the morning when it's not yet crowded), I don't recommend it. Save it for your last day before heading out of town. What's a trip to the beach without a few sweet treats? The commercial center of Rehoboth's mile-long boardwalk offers quite a few options. The iconic Dolle's (1 Rehoboth Avenue) is certainly worth a mention. I'm not really a fan of saltwater taffy, but I do love their caramel corn. For ice cream, the first decision is soft-serve or hard. For the former, I recommend Kohr Bros. (multiple locations on the boardwalk) frozen custard, which comes in many flavors supplemented if you wish with a dip in chocolate or sprinkles (or both). For the latter, the aforementioned Royal Treat can't be beat. I had a really divine peanut butter and vanilla cone on our last night. 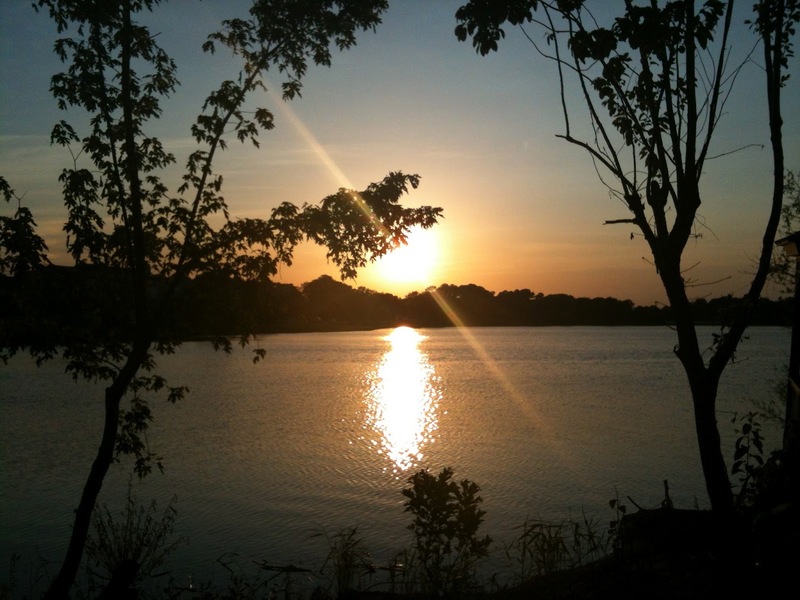 Sunset over Silver Lake, Rehoboth Beach, Del. This is nicely written, dear. Seeing that pic of Dos Locos makes me want to go there right now. Thanks! I wish I was there right now too. I was looking for blogs about Rehoboth Beach to share on our site and I came across your post...If you're open to it, shoot me an email at jane(at)dwellable(dot)com. I can attest that Pig + Fish has amazing food (I had the beef short rib, the rest of my party had the crab cakes, and we shared nachos), the drinks strong and delicious, and the service excellent (Chipper, our waiter, was well named and very helpful). I also loved that they noted gluten free items on the menu- thanks for the recommendation!! I'm glad you liked it. 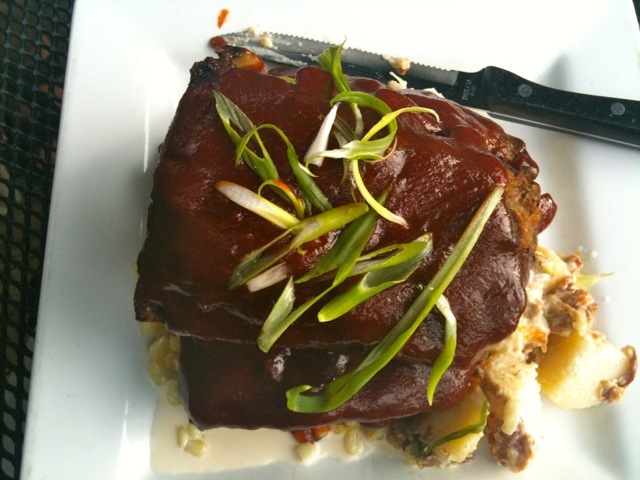 I had the beef short rib too this summer and loved it. Enjoy the rest of your week!